From http://news.wabe.org/post/lance-ledbetter-liner-notes-changed-his-life which includes audio version of this story. Lance Ledbetter runs the record label Dust to Digital here in Atlanta, along with his wife, April. They specialize in high-quality reissues of music from all over the world, and they are probably best-known for the 2004 box set, “Goodbye, Babylon,” which was nominated for two Grammy awards. “To me, the design, it’s a thing of genius,” says Lance Ledbetter of the the liner note booklet that accompanies the anthology. But there would have been no “Goodbye, Babylon” without Harry Smith. And that’s the story Ledbetter tells in this installment of Page-Turners. In 1952, Smith produced three records known collectively as “The Anthology of American Folk Music.” It’s known today as one definitive collection of American roots music of the early 20th century. Ledbetter bought the box set when it was released on CD in 1997. That night he discovered, packed alongside the discs, a booklet, which was stapled and photocopied and covered in weird collages of cut-and-pasted images. These were the liner notes for the anthology, and it was curator, Smith, himself who had originally cut and pasted all the images. It was also Smith who had investigated and typed footnoted stories, annotations and personal commentary for each of the set’s 84 tracks. 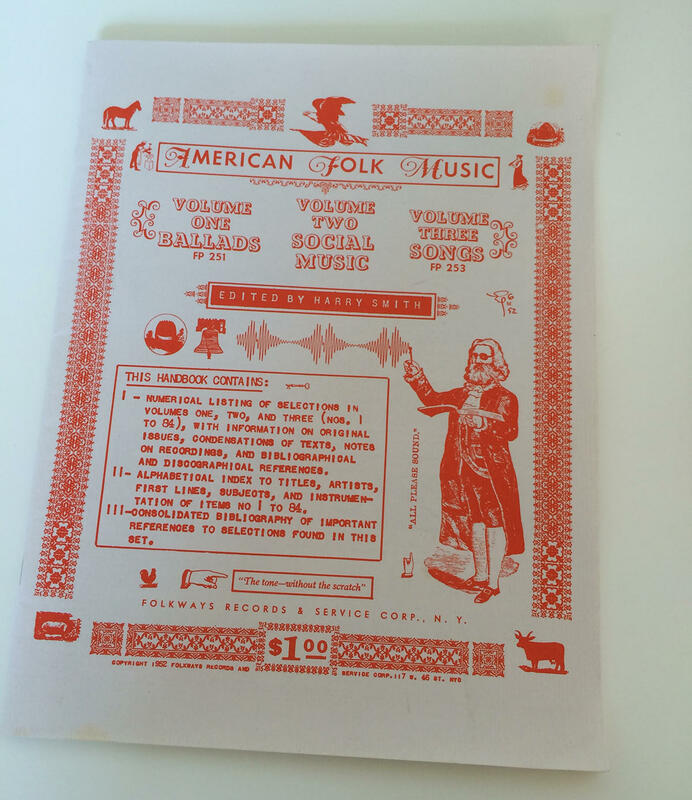 This booklet represented years of his painstaking research into the nation’s country, folk, and so-called “race” tunes, and formed one of the authoritative sources of American music for the late 19th and early 20th centuries. For Ledbetter, the experience of just listening and reading along felt electrifying. One of the things that struck him most was the way the liner note booklet was laid out. The night he bought the anthology, he stayed up all night, playing musical detective and marveling at the detail and design. That experience was the inspiration for the idea that became Ledbetter’s own box set, “Goodbye, Babylon,” seven years later—as well as his life’s work with Dust to Digital. 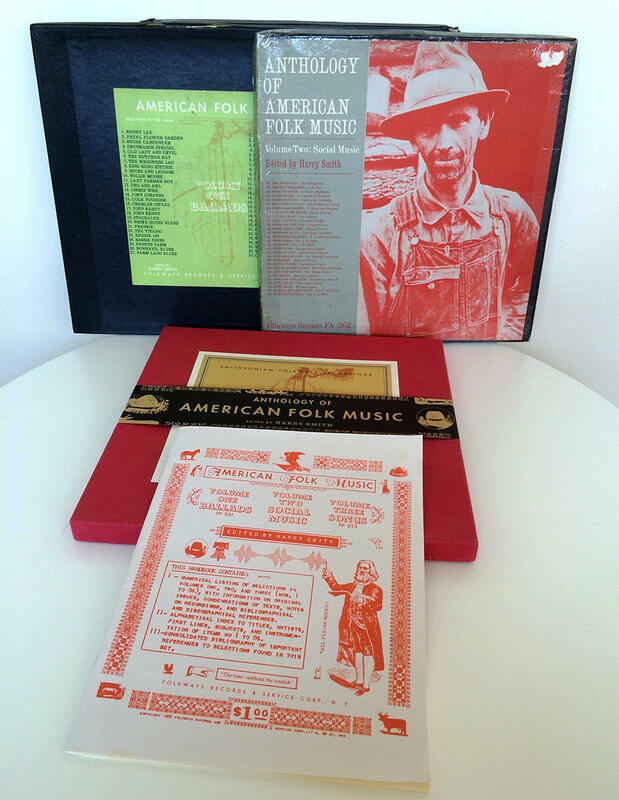 Even now, “The Anthology of American Folk Music” has a hold on him. “This is a set I recommend to everyone,” he says. “The energy that had been distilled into this book was palpable,” says Ledbetter, “and I could feel it.” The liner note handbook accompanying the anthology includes cut-out collages from sources including (but not limited to) 78 RPM record catalogs, farmers almanacs, department store catalogs, and the covers of songbooks. Reality check: Are you amassing a healthy record collection, or are you just … amassing? In this web bonus, Dust to Digital’s Lance Ledbetter talks about what he sees as the difference. He mentions Joe Bussard, a collector of 78 RPM records who lives in New Jersey. In this web bonus, Lance Ledbetter tells a story about Atlanta and the skyrocketing career of a fiddler whose work appears on “The Anthology of American Folk Music.” Also: Harry Smith’s account of how the term “race record,” once used to describe music performed by African-Americans, came to be.